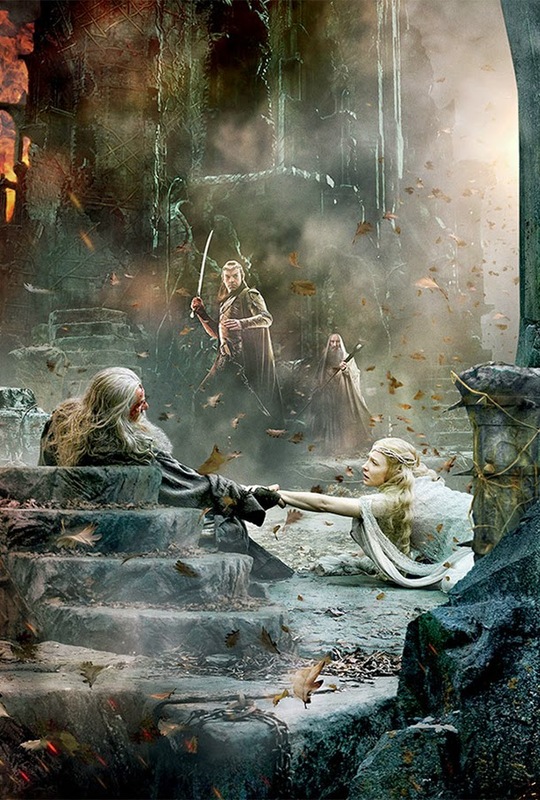 Since the beginning of the series, The Hobbit movies have these wonderful and massive tapestry to summarize the story in one picture. It is more like a trailer on its own. 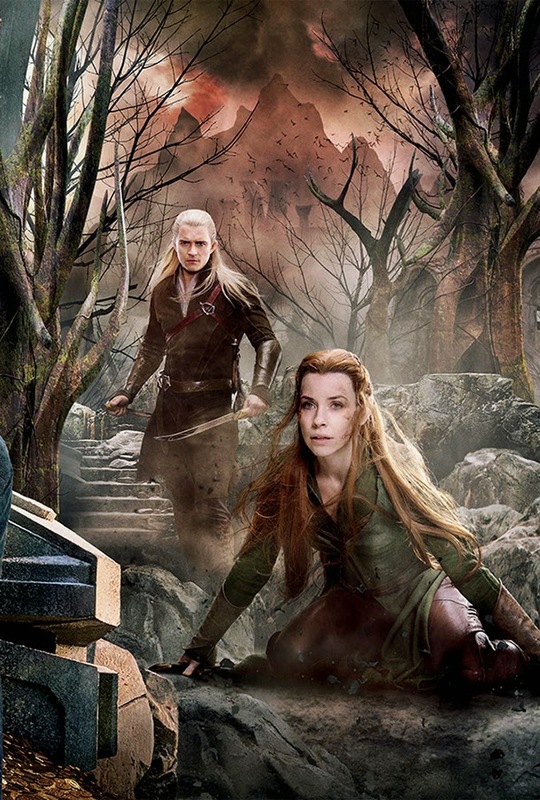 We've seen the tapestries for both The Unexpected Journey and The Desolation of Smaug before and now we are going to see one for the final movie, The Battle of the Five Armies. You all know what these means, a barrage of promotional materials will be coming our way in the very near feature. 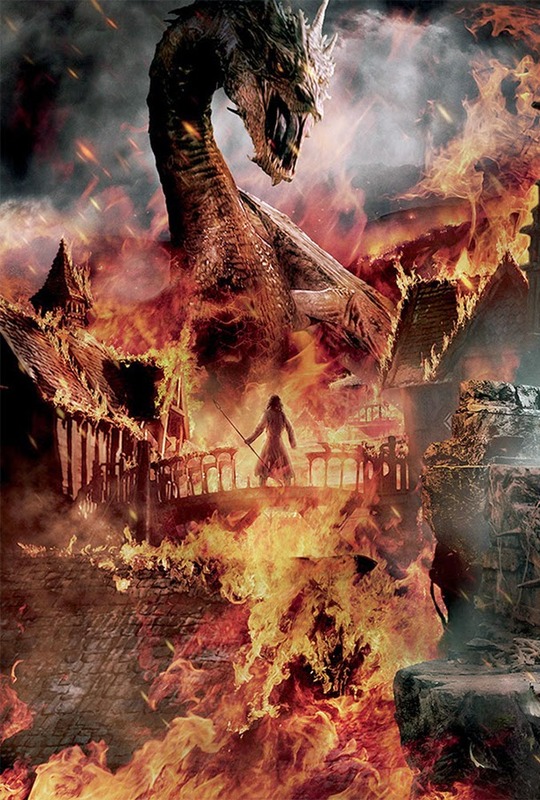 Academy Award-winning Peter Jackson directs this star-studded finale to an epic fantasy based on the works by J.R.R. Tolkien. 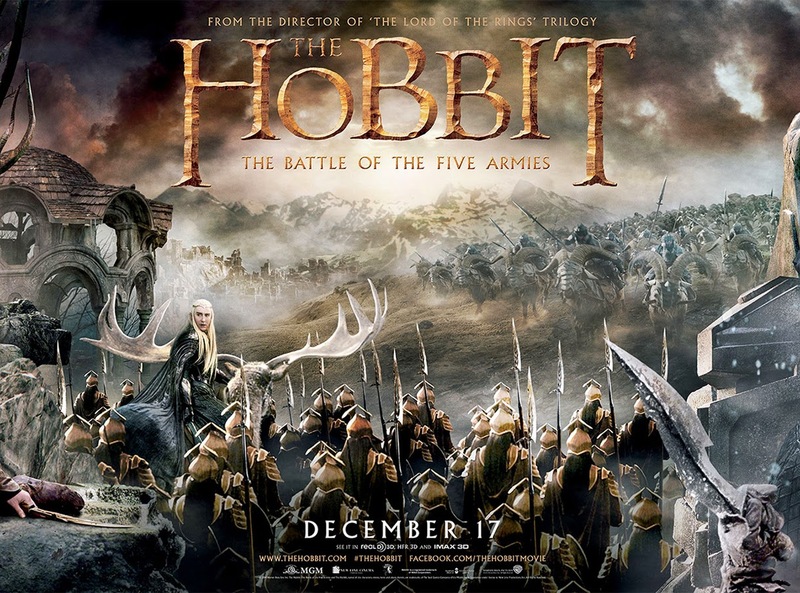 The movie stars Ian McKellen, Martin Freeman, Richard Armitage, Cate Blanchett, Orlando Bloom, Christopher Lee, Hugo Weaving, Evangeline Lilly, John Bell, Jed Brophy, Adam Brown, John Callen, Benedict Cumberbatch, Luke Evans, Stephen Fry, Ryan Gage, Mark Hadlow, Peter Hambleton, Stephen Hunter, William Kircher, Sylvester McCoy, Graham McTavish, Michael Mizrahi, James Nesbitt, Dean O’Gorman, Lee Pace, Mikael Persbrandt, Ken Stott, and Aidan Turner among many others. 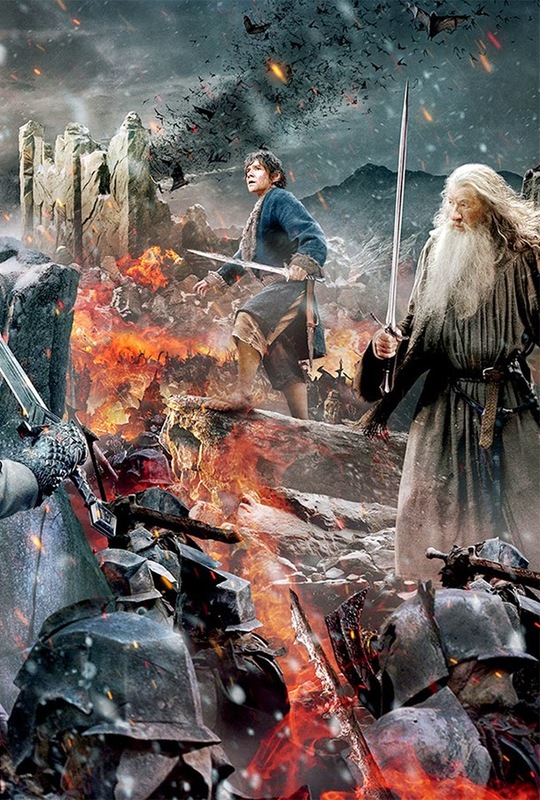 I have cut out the picture to separate each scene from the tapestry of The Hobbit: The Battle of the Five Armies. Just enjoy these wonderful art that will eventually be combined as one at the end. It'll be dope if you could name each scene and what they represent. 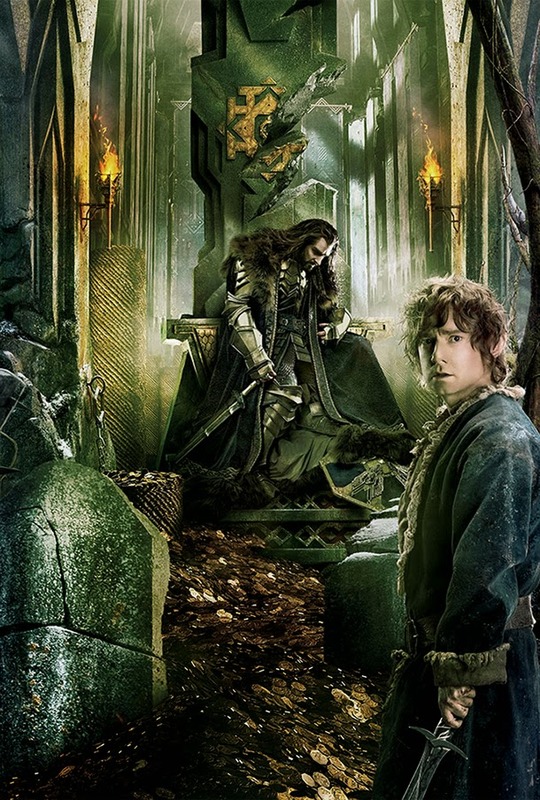 Experience the end of The Hobbit trilogy in a grand scale. 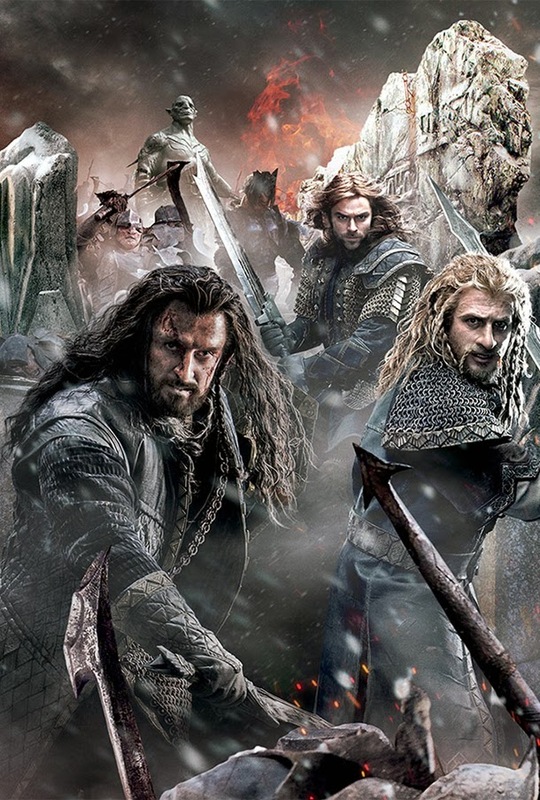 Watch The Hobbit: The Battle of the Five Armies in theaters December 17, 2014.